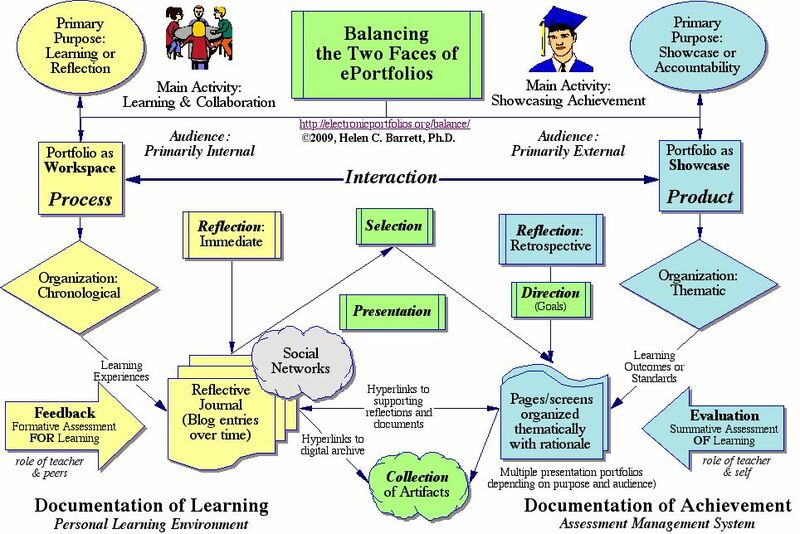 This is the site to support the keynote address "Balancing the Two Faces of ePortfolios: Current International Practice and Future Thinking on ePortfolios in Higher Education" to be presented by Dr. Helen Barrett at the Dublin Institute of Technology on March 21, 2016. Description: Dr. Helen Barrett will address a variety of ePortfolio learning strategies that promote lifelong learning. Drawing on various models of reflection. Dr. Barrett will bridge theory with practical examples to support lifelong learning strategies of self-monitoring, self-awareness and self-management. Specific strategies to be shown will include reflective journals (blogs). 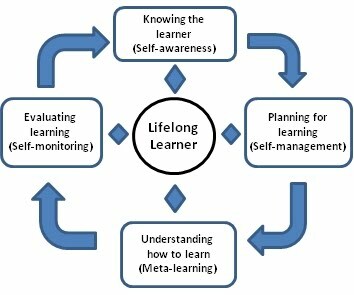 Above is a diagram I like to use that supports the components of lifelong learning and I will address how ePortfolios support each of those components.